No more musty, moldy underworld. Transform your basement into a livable, breathable space. People with environmental sensitivities, allergies and asthma are often taught to shun basements as dark, dank places laden with triggers such as mold and chemical fumes. And that stereotype can hold true. But the basement also presents much needed extra space. So let’s show you how to make your downstairs a safe, comfortable and breathable area. In school, we learn that hot air rises, and cold air falls. This means that in warmer weather, hot moist air leaks into your house and cools as it falls into the basement. As the hot air cools, the relative humidity is increasing as temperature drops, causing the damp feeling in the basement. In fact, the air can reach the dew point – the temperature at which water falls out of it. When you add furnishings such as carpets and old upholstered furniture, which can absorb and hold the water vapor, this creates a musty, and potentially moldy basement. As air moves through cracks in the basement walls, windows and elsewhere, it also brings with it dust, pollens and molds found outside. These end up in the basement as well. Add a few kids, pets and some glues and paints from hobbies and the workshop, and you’ve got the ingredients for an unhealthy space. To allergen-proof inside, start by minimizing what gets in. Grading is a major component of keeping your basement dry and refers to the slope of the land around the house. You want a “positive” slope or grade – which means the water runs away from the house. With a “negative” slope, water pools and seeps into the ground, adding hydrostatic pressure to the foundation walls. Excessive water pressure will ultimately lead a wall system to fail and allow water to enter the basement. I recommend that you walk around your house during a heavy rain to assess how the water is moving around the building. – Using a shovel and a wheelbarrow, create simple slopes in the areas of concern. – Specifically, build up the soil closest to the house (keep it off siding, though), and dig down the soil that’s farther away from the building. Your slope must lose incline as you move away from the foundation. You can add grass seed to control erosion. • The downspouts on your home are also extremely important as they release a large volume of water near the base of your home. It is imperative that downspouts direct water far away from the foundation. They should extend four to six feet from the building. • Waterproofing: The only way to ensure your basement is completely dry, however, is to dig out the foundation from the outside, and add a waterproofing barrier of some kind. That entails hiring a waterproofing company and can be expensive. Be sure to check references if dealing with a larger job, and call utility companies before they dig. Water vapor in the air can lead to mold growth, which impacts your family’s health, and can damage furniture and building materials. • Dehumidifiers are a key element to the healthy basement, as they remove significant amounts of moisture from the air. When purchasing, look for an Energy Star-rated dehumidifier, which consumes the least electricity. (The old brown units draw as much electricity as water, and cost a lot to operate.) Also get a unit with a built-in humidistat, which allows you to set the relative humidity and the dehumidifier will shut off at that level. Another good feature is a built-in hose bib. This allows you to run a hose from the dehumidifier to the floor drain eliminating emptying the bucket. Dehumidifiers are designed to fit specific square footage areas, so make sure you purchase one large enough for your space. • My advice is to get rid of wall-to-wall carpeting in the basement, as it acts like a sponge, absorbing water that moves through the air and concrete. That promotes mold growth. Switch to a tile floor (ceramic, slate, porcelain or cork with a proper underlay) or stain the concrete (which can create stunning floors). Add area rugs, which are easy to have cleaned and can be taken outside in the sunshine to freshen up. • If you can afford it, start new basement flooring with a sub-floor of plastic-backed dimple board (available at home renovation stores). This acts as a barrier to moisture seeping up through the concrete. A basement’s level of dampness will determine whether other moisture solutions are necessary. One common example is a sump pump system to reduce groundwater pressure. Most people will need a contractor for installation. Just because your old couch “still has some life in it” doesn’t make it a wise choice for the basement. The dust, dander and other particulates that you bring into the basement with that sofa will aggravate allergies and asthma. • A lack of ventilation downstairs makes exposures to these allergens worse than upstairs. Furnaces don’t even do a great job of moving basement air. Most of the newer high-efficiency models, for example, no longer have basement air intakes, but rather work with fresh, outside air. Installing proper cold air returns in a basement will help to resolve this. 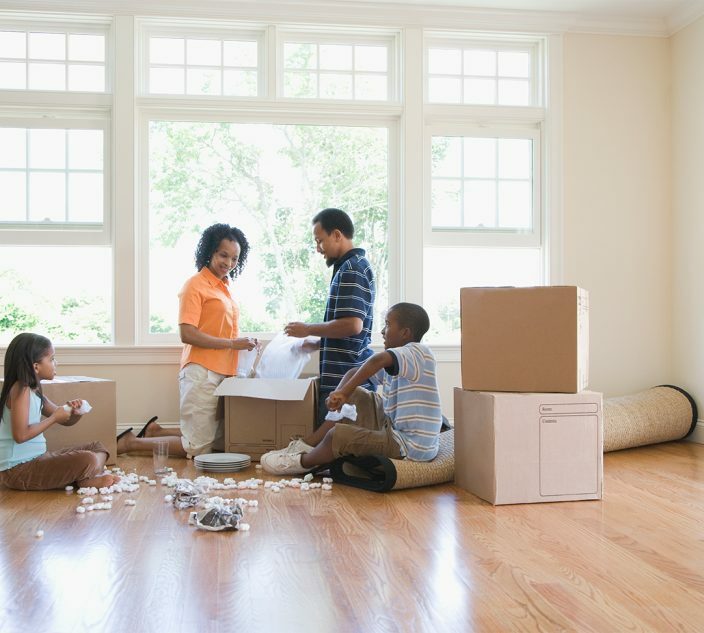 • If you’re going to use the basement as a family room or office, be sure to lose some clutter. The basement is where all manner of stuff gets stored: from boxes to school projects, books and old clothes. These items don’t get cleaned often, if ever, and the dust loads build up, creating Allergy Central. Lose as much of the clutter as you can, and allergy control will follow. • Many people store toxic chemicals in the basement. These chemicals impact our health, especially in the basement, since we’re living closer to them. Get rid of the old paints and glues, and buy zero-VOC paint the next time. By taking measures to reduce moisture and greatly reduce dust and toxic exposure, you will gain a livable space, better health and a significant appreciation for everything going on in your basement. It won’t help with teenagers running amok down there, but at least they’ll breath well. 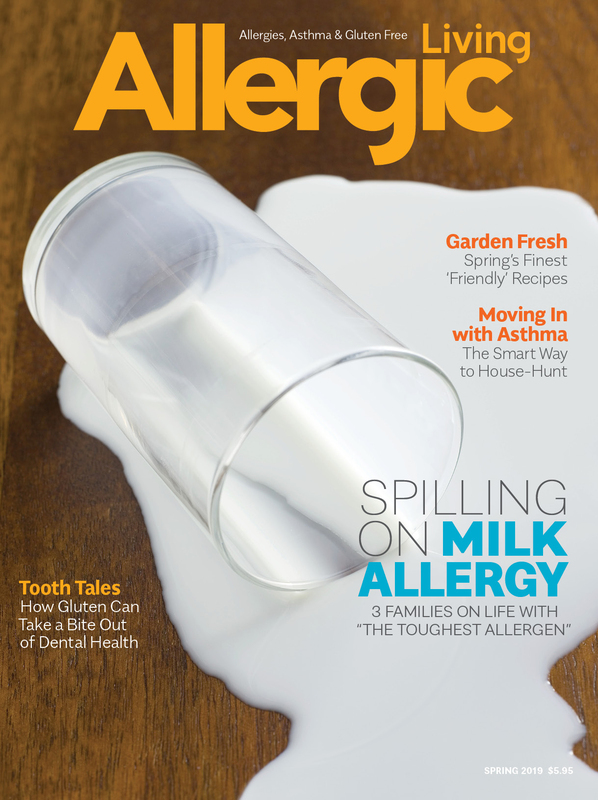 First published in Allergic Living magazine. Click here to subscribe and get the magazine delivered to your door.